Captain Cook Cruises is offering 20% off their 7 nights Northern Fiji Discovery Heritage cruise, where passengers can enjoy the unique experience of standing on the International Dateline. The sale is available until 31 March 2011 and valid for travel until 31 March 2012. The Northern Fiji Dateline Discovery Cruise is an amazing cruise that was developed after months of extensive research and searching for secluded and exclusive locations. Passengers are taken beyond the Yasawa Islands to very remote and exotic tropical Fijian islands where they learn about the unique history, art and culture of Northern Fiji. Day trips include the historic island of Ovalau which still features 19th Century colonial architecture and waterfront promenades from colonial rule, the Bouma Waterfall lagoon on Taveuni Island, the extinct volcanic crater, hot springs and thriving markets on Savusavu, a special children's choral church service at Wairiki and of course the 180th Meridian – the arbitrary Dateline between today and tomorrow on Taveuni Island. There is plenty of swimming, snorkelling and diving off picturesque islands including Tivua, Savusavu Bay, Nananu-I-ra and Sali Sali Island. One of the most endearing features of this cruise is the generous welcome from Fijian village locals living on islands rarely visited by tourists. Passengers will be given the extraordinary opportunity to experience village life and partake in a kava ceremony, enjoy a traditional 'lovo' (earth oven) feast and dance to the drum of the meke (dance). The Northern Fiji Discovery Heritage cruise has seven scheduled sailings for 2011 departing on 05 April, 03 May, 05 July, 06 September, 01 November, and two scheduled departures so far for 2012 departing on 03 January and 06 March. 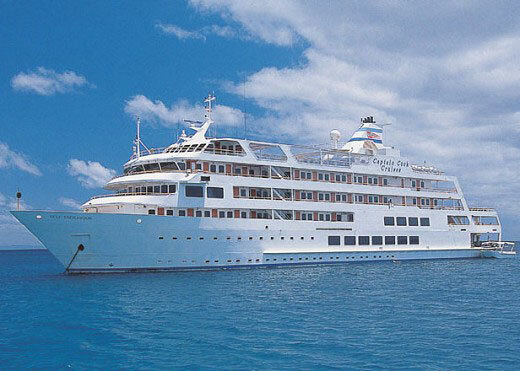 Sale prices for the 7 nights Northern Fiji Discovery Heritage cruise start at only $1399 per person, twin share and the cruise departs Denarau Marina at 2.00pm. Prices includes shipboard accommodation, all meals, guided village and island tours, glass bottom boat excursions, on board entertainment and use of the ship's facilities including a swimming pool, spa, sauna, sun deck, cocktail bar and much more.